Local advertising is one of the most crucial marketing tools small businesses have at their disposal. Many small business owners know this. But, that does not mean that they know how to optimize local advertising to create the most effective local ads for small business. Thankfully, there are marketing resources out there to help small business owners out in their pursuits to create the best local advertising campaigns. Use these small business advertising ideas to create effective small business marketing strategies that keep you in operations for many years to come. Radio advertising is one of the most effective types of local advertising. Unfortunately, many small business owners forget about local radio advertising possibilities, especially if they do not listen to local radio themselves. However, local radio ads can be an affordable way to market small business. Catchy radio jingles are a great way to make your brand memorable and establish brand recognition. Including your small business website URL in radio ads is also another great idea for radio advertising that will generate leads for business. If you want to employ local advertising strategies as a part of your comprehensive marketing plan, be sure to create radio advertisements for your small business. Chamber of commerce sponsorship programs can be one of the best types of local advertising strategies for small business. Small business owners can choose to sponsor their local chamber of commerce’s website. This is a great way to establish yourself as a local community business. That will ultimately help you establish a local professional network that can help you navigate small business operations. In the long run, having a great business network will make it easier to market business efficiently in the future. 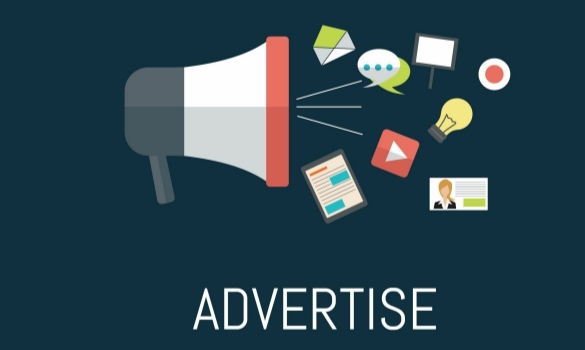 In addition, forming a relationship with your local chamber of commerce will present innumerable advertising and marketing opportunities that will target your local customers. If you want to create a comprehensive local marketing and advertising strategy, include chamber of commerce sponsorships as a crucial component of those plans. Community events present some of the best opportunities for local small business advertising. All you have to do is attend a community event to establish a local business presence in the community. Bring marketing materials and branded promotional items to entice local consumers to your event booth. Then, use the opportunity to get your target audience to join your email subscription list. This will help you generate leads for business. It will also help you to establish a relationship with local consumers to build your brand loyalty. Community events present some of the best local advertising opportunities for small business. Be sure to take advantage. This is one of the best marketing ideas for small business. Local press releases can also be an excellent source of small business advertising. Send out press releases to local news stations. The smaller the news station, the better the impact of your press release for marketing purposes. It will make it much more likely that your press release actually goes to print. It will also ensure that your press release reaches your target audience of local small business shoppers. Creating a press release is an easy way to promote your business for free to generate qualified leads. Press releases are a form of earned media that provides free advertising opportunities to your small business. Capitalize on them to take advantage of the benefits provided to your small business marketing budget. You can also use article marketing strategies to advertise small business locally. This requires you to write a useful or interesting article for local magazines. These local community magazines will often approve submissions from everyone, as they frequently experience writer shortages and content shortages. Small business owners like yourself can capitalize on these opportunities to advertise your small business locally. Write an article for your local magazines or newspapers that promotes your small business. Then, submit your writing to all local media outlets and community communications. This is one of the best local advertising strategies for small business. Local advertising ideas can be extremely effective for small business marketing, just like email monetization. They allow you to target your local market with advertisements that promote your small business. This will generate leads for business easily. Use the local advertising tips and tricks detailed above. These small business advertising ideas will make it easier to market your business efficiently. The less money spent, the better. Use these local marketing strategies, and you are sure to be pleased with the results.